Goosewing Ranch has a heart for our guests but also for our community and the environment. We are huge proponents of the land, both on our property and the surrounding national forest land we share. We have a keen eye on sustainability and how we impact the ecosystem around us. Join us by learning about our sustainability mission and how you can be a part of our environmental-minded objectives. The Dude Ranchers’ Association states that dude ranches are pioneers in the concepts of green living and sustainable vacations: “From growing organic food and using energy-efficient appliances to making their own biodegradable fuel, dude ranches offer guests the ability to enjoy travel while reducing their ‘footprint. 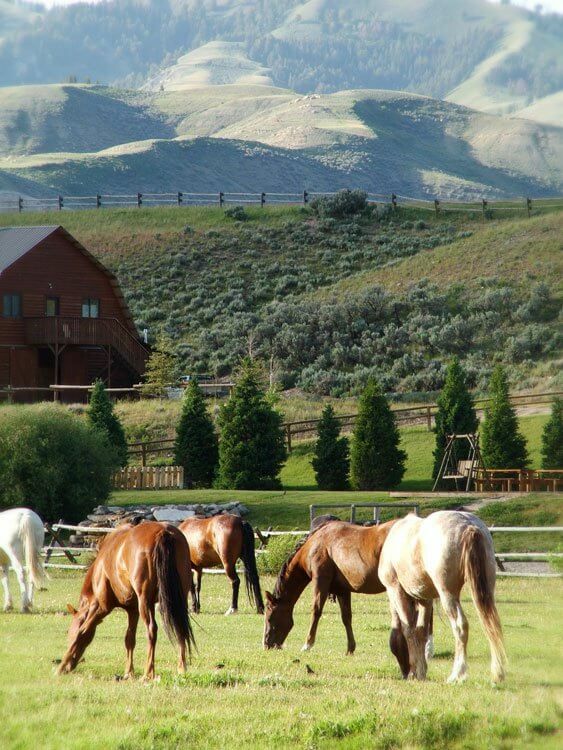 '” Happily we add our ranch to the list of dude ranches which are green living mindful. Although the term environmental sustainability has only been in the forethought of many people’s minds the last few years, it has always been a part of the daily life of ranchers. Sustainability is more than just “being green” and we are devoted to continuing our history of supporting the environment and the community. At Goosewing Ranch we have a close relationship working with the land. We are dedicated to making sure families will be able to enjoy our Jackson Hole dude ranch for many years to come. The 3 R’s of recycling, reducing and reusing have always been a large part of ranch living out of necessity, and Goosewing is no exception. We strive to be good environmental stewards while providing the modern amenities that many have come to expect. Goosewing Ranch is constantly reinvesting your money back into the property to make it a better place for you to visit again and again. Our sustainability mission is to lessen our daily footprint and leave our environment in better condition than we found it. To leave a lasting impression in the hearts of our guests, but not on the land we call home. To improve the experience of our guests, neighbors, community members for generations to follow. Being a part of the local Jackson Hole community has always been a large part of ranching. Goosewing Ranch strives to be a positive influence by giving back to the local community. This year we will be supporting the local 4H club by purchasing livestock and then donating the meat back to people in the community who need it. Goosewing also supports the local rodeo, cub scouts, USFS trail crews, AOA, and the Game Wardens Association. 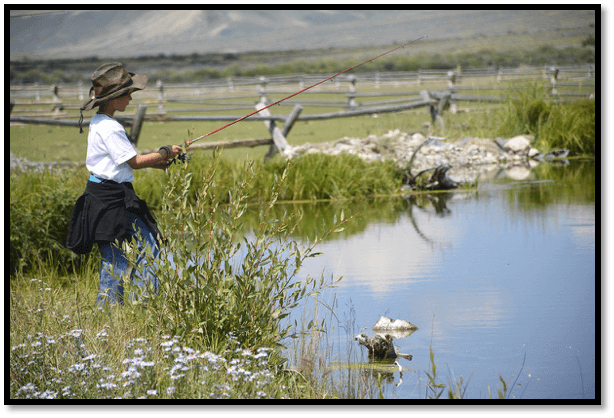 At Goosewing Ranch we promote catch and release fishing.